Come and Find Me actually isn’t a bad movie by any stretch but with a predictable story from beginning to end in conjunction with the development of the two leads, in spite of fine performances by Paul and, for the most part, Wallis, there wasn’t much to enjoy. That being said, this at least might be worthy of a rental. Note: This review contains MAJOR PLOT SPOILERS. So, as always, readers beware. Plot Synopsis: David (AARON PAUL) and Claire’s (ANNABELLE WALLIS) idyllic relationship comes to an abrupt and mysterious end after Claire disappears without a trace. Devastated but incapable of letting go, David follows her trail down a frantic and increasingly dangerous path. Shocked at discovering that Claire was living a double life, he’s forced to risk everything if her ever wants to see her again. Quick Hit Review: Come and Find Me was a mixed bag for me. Although I did give it a 2.75/5, it’s technically speaking not a bad movie but one that could’ve been so much better. The film’s style, under the script and direction of Zack Whedon (brother of Joss), the film jumps around in time with flashbacks as their relationship from their highs and lows unfolds as the film went on including clues to her secret life. And it’s how the story is told, I felt came to the detriment of the couple’s relationship which is a key to the third act when they come back together. On the plus side, the performances weren’t half bad. 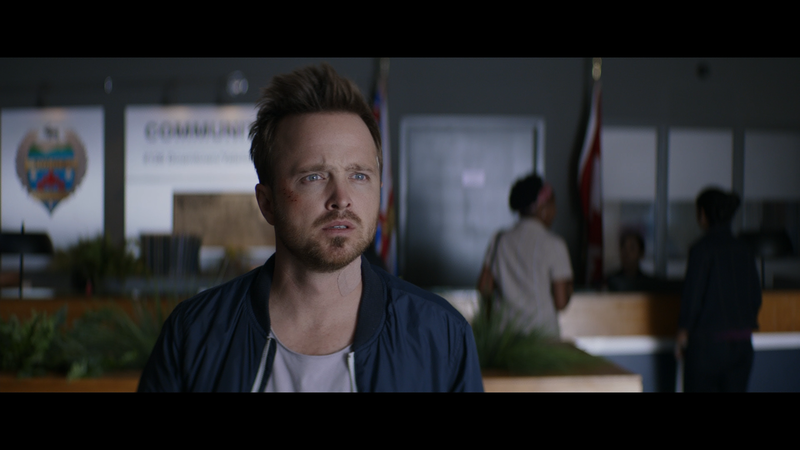 Aaron Paul is great as the everyday man and it’s nice that he doesn’t look like some action hero (where that aspect was forced in Need for Speed), as just a guy wanting answers and even fails in his attempts to be a tough guy. Annabelle Wallis was fine in the female lead and for the most part she’s decent but when we learn of her double life, it does get a bit convoluted or at least feels like we went from Gone Girl to J.J. Abrams’ Alias. 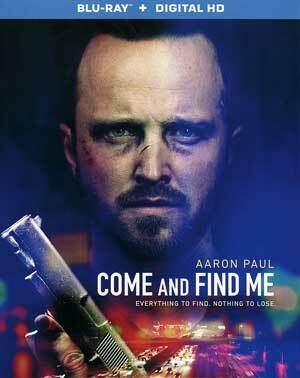 In the end, with some script changes, mainly going linear to really build up David and Claire’s relationship, Come and Find Me is slightly above average and I’m sure fans of Aaron Paul might get more out of it, but for me there’s nothing that stands out and it doesn’t help it’s predictable right till the end. 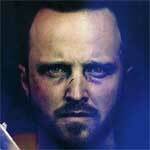 Still, this Whedon could have a nice future in the director’s chair tackling perhaps more depth-filled drama/thrillers. This release comes with a glossy slip cover. Inside is a redemption code for the Digital HD copy. The features are a bit limited with a semi-lively Audio Commentary with writer/director Zack Whedon and producer Chris Ferguson and Unraveling the Mysteries of Come and Find Me (6:54; HD), a short behind-the-scenes featurette. 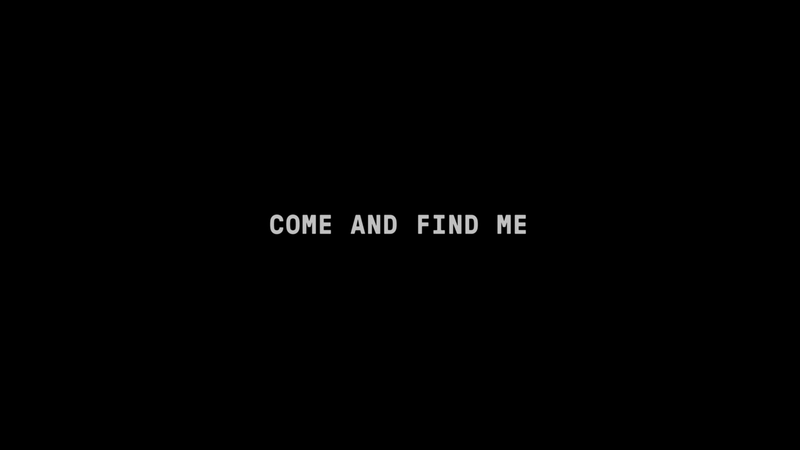 Lionsgate releases Come and Find Me presented with a 1080p high-definition transfer and a 2.39 widescreen aspect ratio. It’s not the most brilliant looking picture with even daylight scenes having a dark tone but at least detail was okay and skin tones appear natural looking. It’s a clean transfer, free of noticeable aliasing or artifacting. The DTS-HD Master Audio 5.1 track is soft in places but in others, the LFE track kicks into high gear thumping in one scene. Dialogue levels did sound crisp and clear while the action-centric scenes, with gunfire, was somewhat muted and didn’t have the robustness I’d expect from a modern day action-thriller. Overall, Come and Find Me actually isn’t a bad movie by any stretch but with a predictable story from beginning to end in conjunction with the development of the two leads, in spite of fine performances by Paul and, for the most part, Wallis, there wasn’t much to enjoy. That being said, this at least might be worthy of a rental and one day, perhaps a year from now, I might revisit it. The Blu-ray released by Lionsgate offers up good video, okay audio while the features are limited.